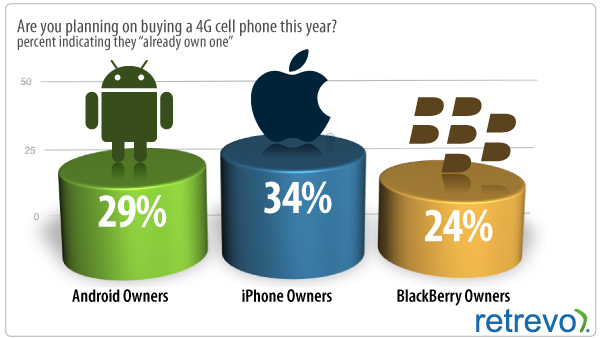 iPhone 4 has been quite a popular phone. It is not a perfect smartphone by any means but combined with the Apple ecosystem, iPhone is a very hard device to topple. A recent survey of potential buyers shows that people are even more interested in getting their hands on iPhone 5 than they were on iPhone 4. 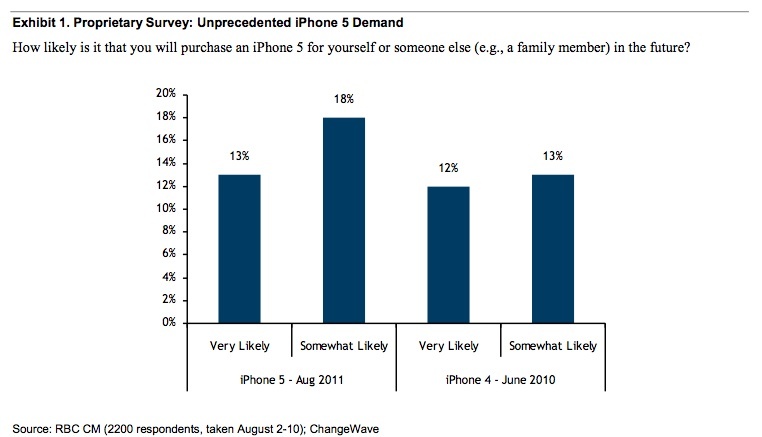 The study by�ChangeWave Research suggests 13% of those shopping for a new phone are very likely to pick up an iPhone 5. 18% are “somewhat likely” to do so. These are higher than the demand levels for iPhone 4. Considering that people have had to wait for iPhone 5 a bit longer, it is not a surprise to see this level of demand for it. Over 66% of current iPhone owners will most likely upgrade. Let’s not forget that iPhone 5 is expected to come to T-Mobile and Sprint at some point. 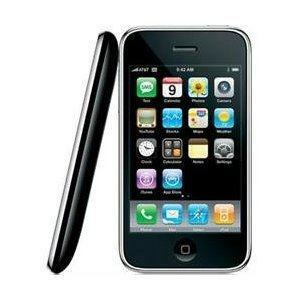 It would not surprise us if iPhone 5 breaks a few record upon its launch. Apple has been dominating the smartphone and tablet markets with iPhone and iPad. So far, its Android competitors have failed to come up with a single device to “kill” either of those products. Microsoft does plan to change things with Windows 8. This operating system will run on the next generation of tablets that will challenge the iPad in 2012 and beyond. Microsoft has gone out of its way to make major changes to this platform. Consumers will have to wait a little while to get their hands on Windows 8 tablets (most likely till Fall 2012). Microsoft is still going to need a ton of apps for Windows 8 tablets to be competitive with the iPad. It will be interesting to see whether it can topple Android and iOS with its new operating system. Are you impressed with Windows 8 for tablets? iPad 5 In Space Gray, iPad Mini 2 Retina Delayed? iPad 3 Coming in March, iPhone 5 Debuting at WWDC? iPhone 5 Coming At The End of June? iPhone 4 Not 4G, iPhone 5 To Sprint/T-Mobile?